Everyone needs a vest. It's critical. It's extra warmth, protection from the wind and when you don't want to deal with a jacket on race day, it's exactly what you need. I think cycling vests come in two categories: Super light and Light. A superlight vest is just a thin layer of nylon, probably a mesh back, no frills. Best for summer use when you have a long descent or the sun might beat you home. The Castelli Fawesome falls into the Light Vest category. It easily fits in a jersey pocket, but it provides a layer of warmth as well as protection from the wind. 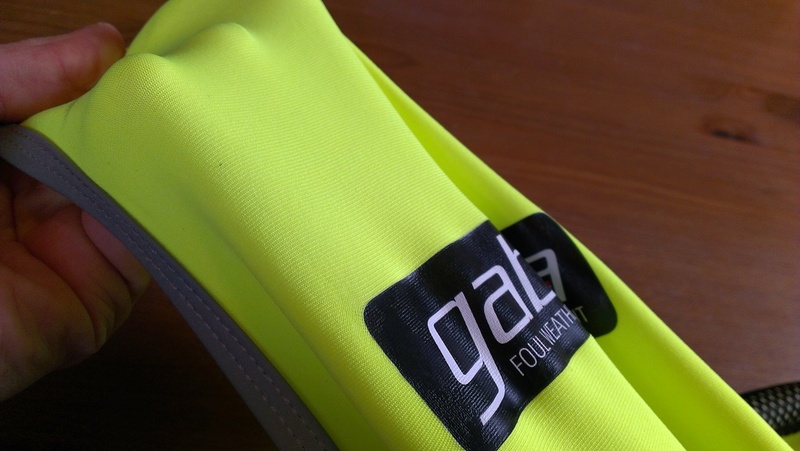 Castelli's Gabba fabric has been talked a lot about lately. I was eager to get my hands on it and as luck would have it, Outside Magazine had one in Tucson. This vest features Windstopper X-Lite+, which is a stretchy, breathable, windproof and water resistant fabric and has reflective piping around the arm holes and hem. I have about a dozen rides in it with all of them ranging from 30°F to 45°. It's still winter here in Jackson Hole. This vest has quickly become my favorite go-to garment. It breathes quite well, even when doing intervals, and is incredibly comfortable. The lower back of the vest is coated with a waterproof, rubberish coating to keep off the road spray and grime. I haven't ridden in rain with it yet, so I can't say how its water resistance is, but I will update this page when I try it in soggier conditions. One of the best things about this vest is the fit. Think aero. The stretchy fabric allows a snug fit. It's exceptionally tailored with no flapping fabric. Neck hole is perfect. Not too tight, not too loose. I'd have no qualms wearing it on race day. My only niggle is that it has a one-way zipper. Come on guys. It's a cycling vest. Venting from the bottom is de rigeur! And at $120 for a vest, you can give me a two-way zipper.